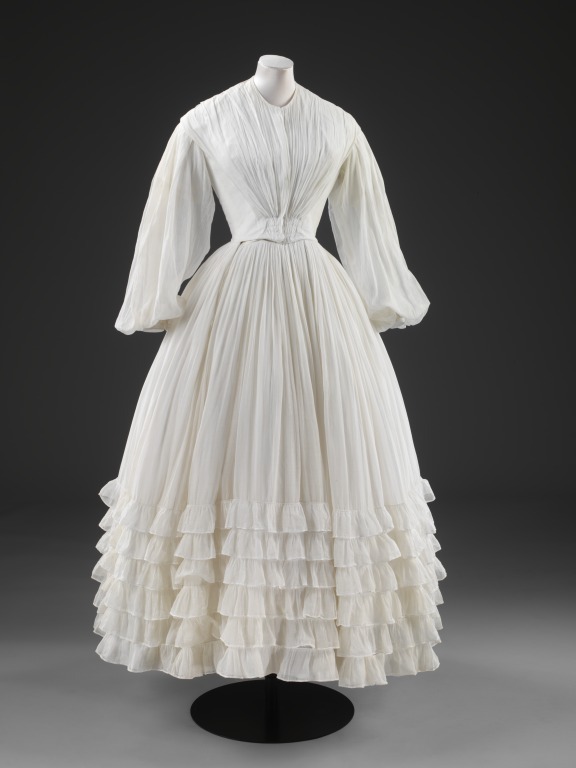 White cotton muslin dress and cotton petticoat. The dress and petticoat are associated with a horsehair lace bonnet (T.366-1988). The ensemble is linked with the marriage of Eliza Sneath to Joseph Candlin in Sheffield in 1851. However, the petticoat does not correspond with the overdress, as the sleeves are too long for the lace-trimmed lining of the dress bodice and would hide the detail of the lace edging on the lining. 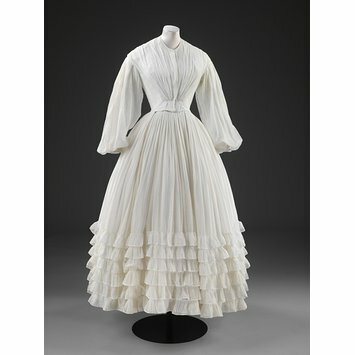 It is a nice and rare example of an utilitarian full petticoat of the period.